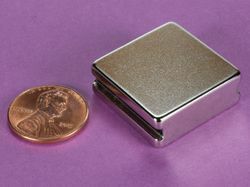 The BY0X08DCS is a very powerful, 2" long magnet with nearly limitless possibilities. 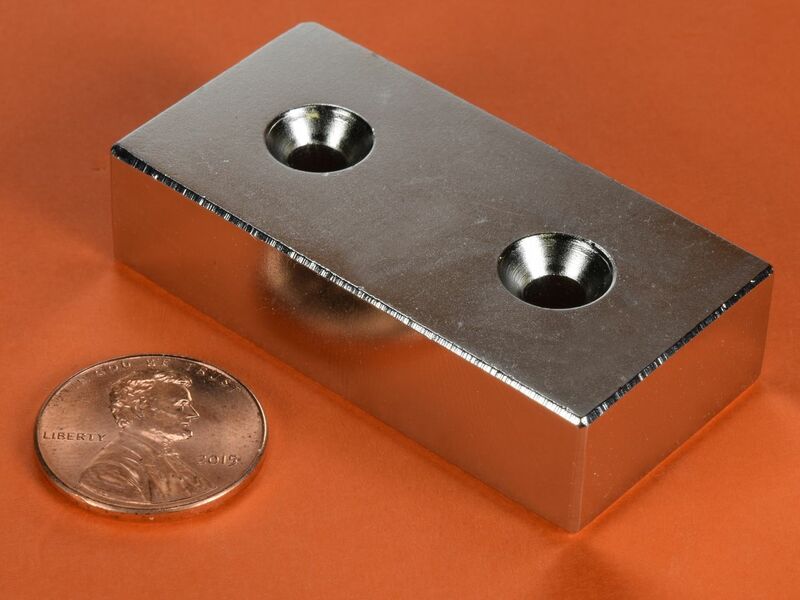 Two double countersunk holes on either side make this strong block perfect for attaching to wood, aluminum, stainless steel or plastic surfaces. 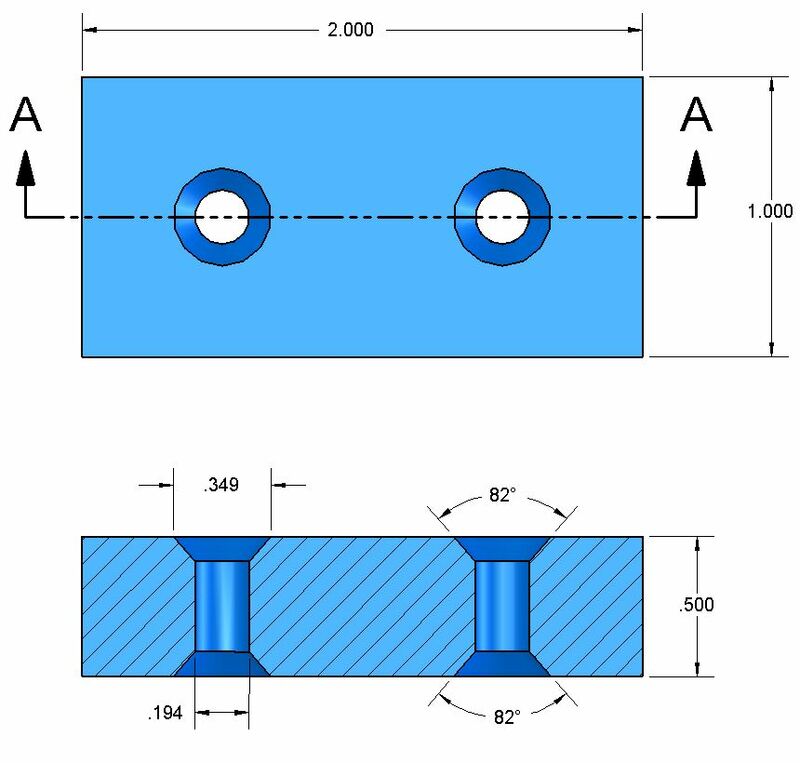 The countersunk holes are the same on the North and South side of this strong block, making it reversible. 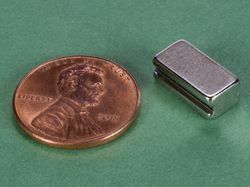 Great for applications that may not have otherwise been able to harness the incredible strength of Neodymium Magnets!